Just like we do today, people in medieval times struggled with the concept of human exceptionalism and the significance of other creatures. Nowhere is this more apparent than in the medieval bestiary. Sarah Kay’s exploration of French and Latin bestiaries offers fresh insight into how this prominent genre challenged the boundary between its human readers and other animals. Bestiaries present accounts of animals whose fantastic behaviors should be imitated or avoided, depending on the given trait. In a highly original argument, Kay suggests that the association of beasts with books is here both literal and material, as nearly all surviving bestiaries are copied on parchment made of animal skin, which also resembles human skin. Using a rich array of examples, she shows how the content and materiality of bestiaries are linked due to the continual references in the texts to the skins of other animals, as well as the ways in which the pages themselves repeatedly—and at times, it would seem, deliberately—intervene in the reading process. 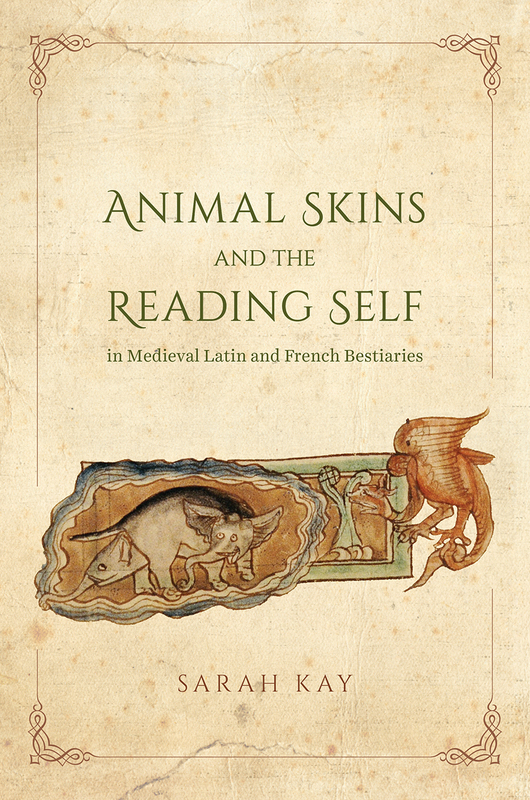 A vital contribution to animal studies and medieval manuscript studies, this book sheds new light on the European bestiary and its profound power to shape readers’ own identities. "Exceedingly well researched and organized, and richly illustrated with twenty eight color plates and numerous black-and-white reproductions from illuminated bestiary manuscripts, Kay’s close readings of bestiary texts, images, and parchment will be of tremendous interest to students and scholars from a wide range of disciplines, including medieval studies, manuscript studies, animal studies, and skin studies." "The aim of the book is to explore how bestiaries may have shaped their readers' sense of the relationship between themselves and other animals. This exploration is done by not only studying the texts but also the pages on which the texts are written, pages that are made of parchment, i.e. animal skin. Sarah Kay calls her method for this project 'close reading' (17) which is an apt description when one realises that she also 'reads' the page: i.e., she pays close attention to everything that can be seen, not only the written text, but also illustrations and remarkable aspects of the parchment itself. This combined attention to abstract and material aspects of bestiaries makes this study really remarkable."